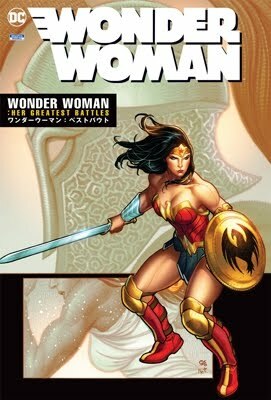 Interviews and art of: Marv Wolfman, Denny O’Neil, Len Wein, Jerry Siegel, Murphy Anderson, Curt Swan, Gerry Conway, Wayne Boring, George Perez, Alan Moore, etc. Unlocks the secrets of Superman’s Silver and Bronze Ages, when kryptonite came in multiple colors and super-pets flew the skies! Features all-new interviews with ADAMS, ANDERSON, CARDY, GARCÍA-LÓPEZ, GIFFEN, MOONEY, O’NEIL, OKSNER, PASKO, ROZAKIS, SHOOTER, WEIN, WOLFMAN, and others, plus tons of rare and unseen art! By BACK ISSUE magazine’s MICHAEL EURY! 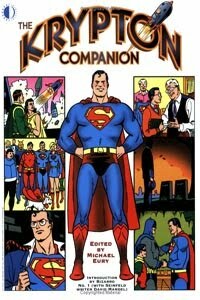 Title: Krypton Companion Author: Michael Eury (editor) Year: 2007 Publisher: Two Morrows Publishing What: A collection of (all-new) interviews, articles and indexes regarding Superman during the Silver and Bronze ages of comics, ranging from the second part of the years the character was edited by Mort Weisinger (from 1958 on) up to the last days under Julius Schwartz in ‘86 (before the John Byrne reboot). Comments: This is gold for any comics reader. Wow. Extensive interviews and articles about Marv Wolfman, Denny O’Neil, Len Wein, Jerry Siegel (obviously), Murphy Anderson, Curt Swan, Gerry Conway, Wayne Boring, George Perez, Alan Moore, etc etc etc etc. This is an amazing back-stage pass at the moment in time when Superman’s mythology was still cooling down and forming from raw dreamstuff… It’s all in this book: The introduction of Supergirl, Krypto, the Fortress of Solitude, and so on, up to the aftershocks of the Christopher Reeve movies, and well beyond that. It is just packed with never seen before artwork, it’s very richly-illustrated (even though it’s b&w). But the best part? The book is incredibly light on indexes and technical stuff, and 90% focused on the creators themselves. There’s a long “roundtable discussion” among many Superman professionals talking simultaneously about the same Superman-related subjects. So you got Mark Waid and Kurt Busiek and John Byrne and Roy Thomas and Jon Bogdanove, and many others, just going at it and letting it all out at each other. Fantastic! I recommend this book to anyone who’s ever wondered where Superman’s popularity stems from, and why and how the character got to become part of worldwide popular culture and he’s today.